See the videos from speakers' interviews! The Acropolis museum visit is on. More info at the registration desk! Fill in the Satisfaction Survey and claim your prize! Download the ICRI 2014 Booklet! The final programme is online! 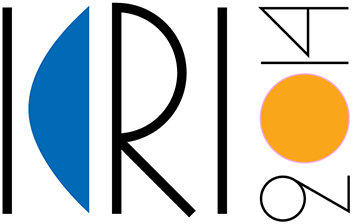 The ICRI 2014 Programme is now in a Final Draft version! Last Registration Day: Wednesday March 26th! No registrations after that date, and no on-site registration possible! Research & Art Competition results are in! If you are an RI stakeholder and have not received an invitation for ICRI 2014 please request one! Exhibition booths are still available! New batch of delegates' invitations to go out soon! Draft ICRI 2014 Program now available! Top RI community people keep confirming! Registration to ICRI 2014 now open! Stay connected to ICRI 2014: follow @icri2014 on Twitter!